Leasing is a great finance option for shoppers in Irving, Grand Prairie, Grapevine, and Dallas. However, you might be wondering how to lease a car. 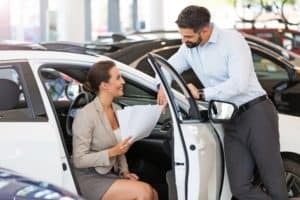 Below, we at Metro Volkswagen give you a full rundown on the leasing process and give you a handful of helpful leasing tips. Read ahead to learn more about how to lease a car! Determine your budget. Consider how much you can pay per month as well as how much you can put down for a potential down payment. Find a vehicle that fits your needs. This vehicle should meet everything on your next-car wish list. It should also be able to be leased. Take any vehicles that you like for a test drive. This will help you truly decide which vehicle is the vehicle for you. It’ll also give you a chance to ask questions about the vehicle and even zero in on other potentially better-fitting models. Speak with a finance professional. Discuss the logistics of your lease to ensure that this is the best way to finance your next vehicle. You’ll also be able to sort out monthly payments, how long you want your lease to be, if you need extra miles, and more. Shop around a little. 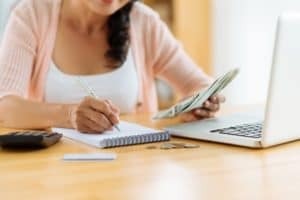 Make sure that you’re getting the best deal possible by shopping around a little for other leases that may be a better fit for your budget and lifestyle needs. If you follow all of these steps and trust in the finance professionals that you’re working with, you’ll land a lease that perfectly fits your needs in no time. Don’t underestimate the amount of miles you’ll drive while on your lease. Keep your leased car on its routine maintenance schedule. Don’t lease a car for too long—it might make more sense to buy in the long-term. Stick to your monthly budget with no exceptions. Don’t be afraid to negotiate your mileage limit, down payment, and monthly price. Try to avoid getting a lease that goes beyond the coverage of the factory warranty. We at Metro Volkswagen hope this overview gave you all the information you were looking for. Now that you have a better idea of what the leasing process is like, we hope you’re excited to get started on finding your next car lease. Our dealership is proud to offer a variety of leasing options to shoppers in the areas of Irving, Grand Prairie, Grapevine, and Dallas. Give us a call today to learn more about our vehicle leases. Don’t forget to ask about scheduling a time to come in and speak with our friendly and knowledgeable finance team!